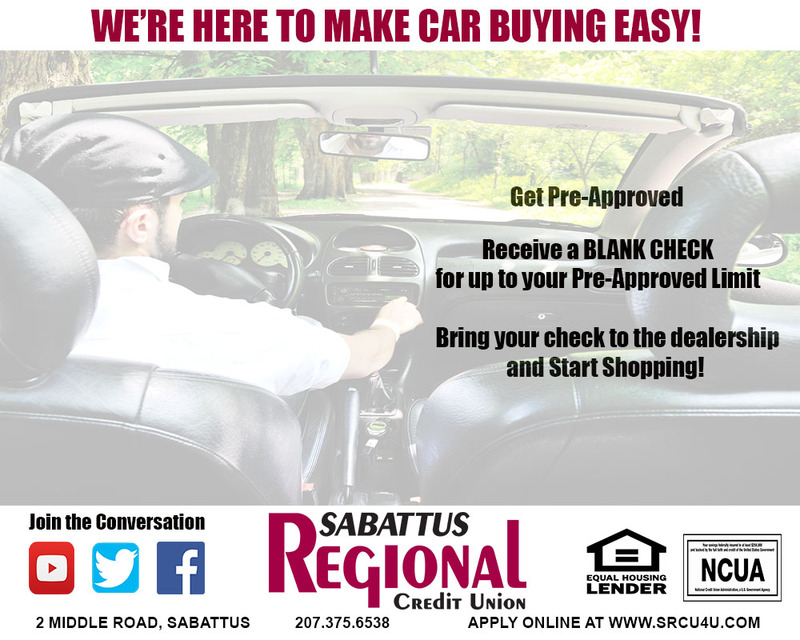 Sabattus Regional Credit Union offers a pre-approved loan draft to eligible borrowers! You must complete a loan application and be pre-approved for an auto loan. This program allows for flexibility to pay for the vehicle at the dealership without having to come back to SRCU to pick up the check. Bring your check to the dealership and Start Shopping!